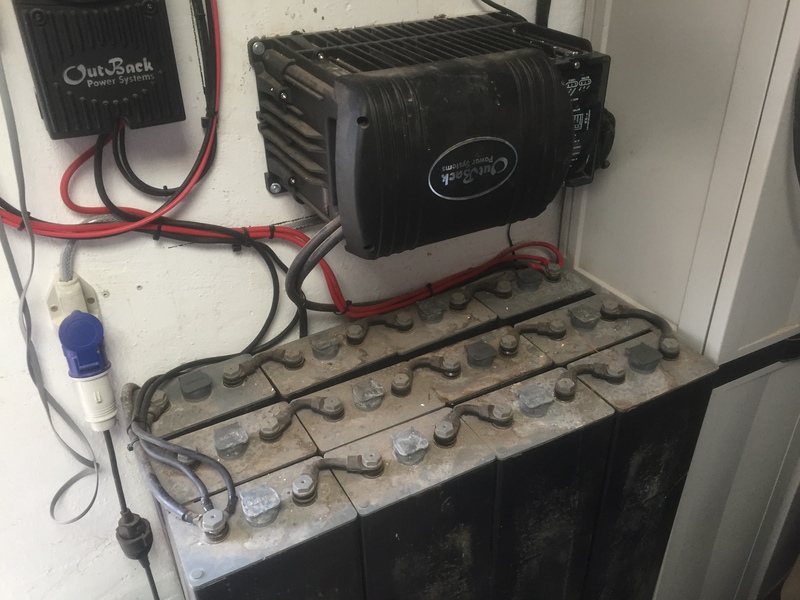 We specialise in the supply of both new and used 2v, deep cycle solar batteries – off grid batteries for use with renewable energy sources such as solar photovoltaic systems and wind turbines etc. 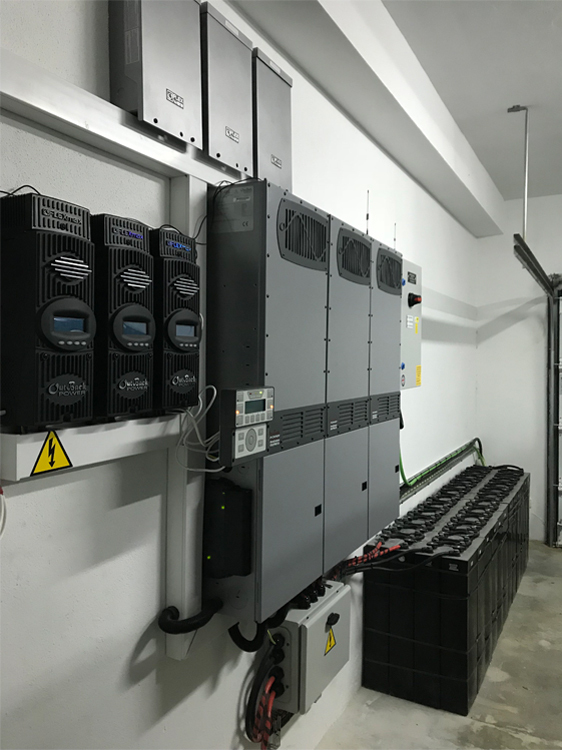 We offer a comprehensive range of solar batteries and off grid batteries, which includes the OPZS, MSP and the EPZS/IPZS/HPZS/PZS-ET range of solar battery cells. 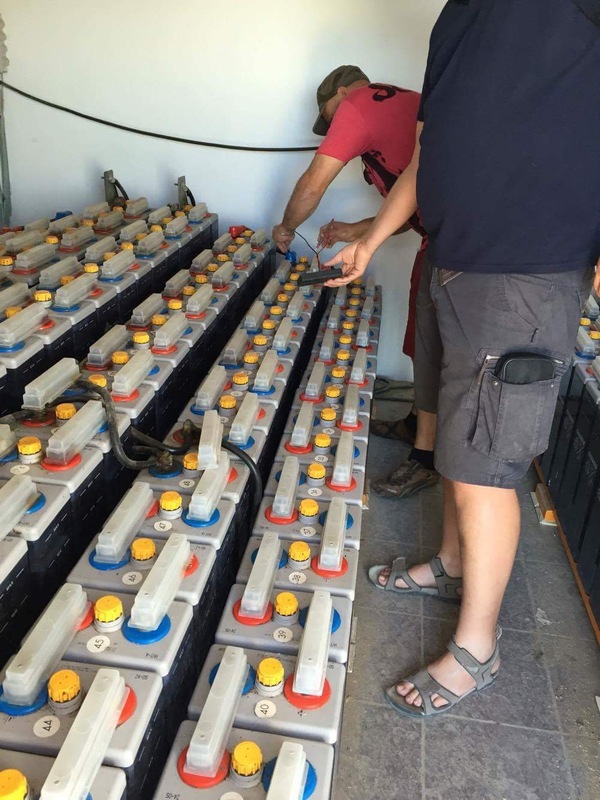 The OPZS and MSP being dedicated solar battery – off grid battery cells and the EPZS/IPZS/HPZS/PZS-ET being originally designed for forklift battery use, which have become renowned for their suitability in off grid battery and solar battery applications. You will often hear of these cell giving years of trouble free service even in used condition. We also stock a wide range of fully automatic Forklift Battery Chargers which are ideal for use in solar – renewable applications where a mains voltage supply charger is required. These Italian chargers can be shipped directly into Spain, Portugal or France. 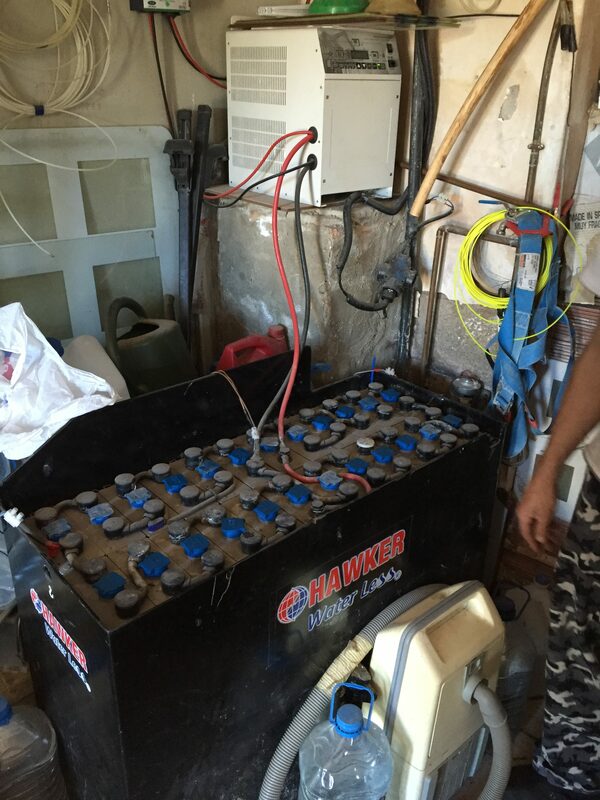 Before choosing your battery please take a look at the “Useful Information” section of this site. You will find lots of useful information, such as “The battery cell capacity “c” rating explained” I would strongly recommend you read this section before making any decisions. We offer a tracked, reasonably priced, and a very efficient delivery service. Please supply full address and post code to obtain a price. These addresses must have reasonable access for a standard delivery wagon, if this is not possible it would help if an alternative address can be supplied. If you perceive a problem let us know and we will find a way to make it work. We haven’t failed yet! P B Battery Solutions Ltd are one of the countries leading specialists in the supply of the forklift type 2v deep cycle battery cells for off grid, stand-alone power solutions and we pioneered the use of new “forklift” battery cells especially for this purpose. 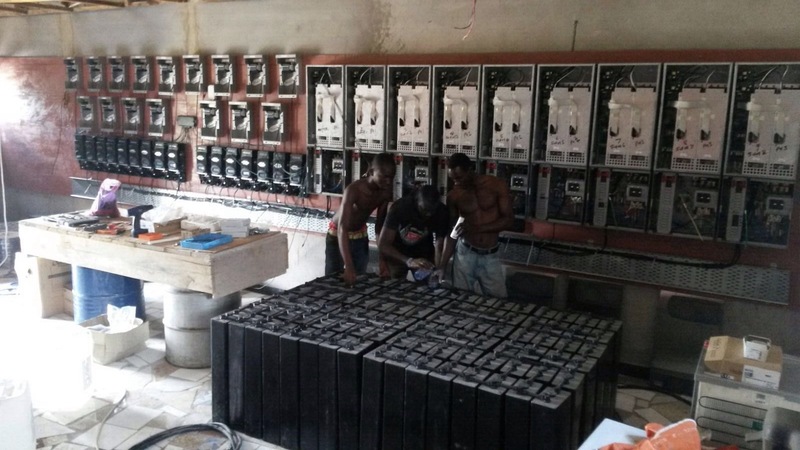 Our batteries have been shipped worldwide for Off-Grid use and installation. Over the last 7 years we have built a great reputation in the off grid community and the majority of our sales now come by recommendation. 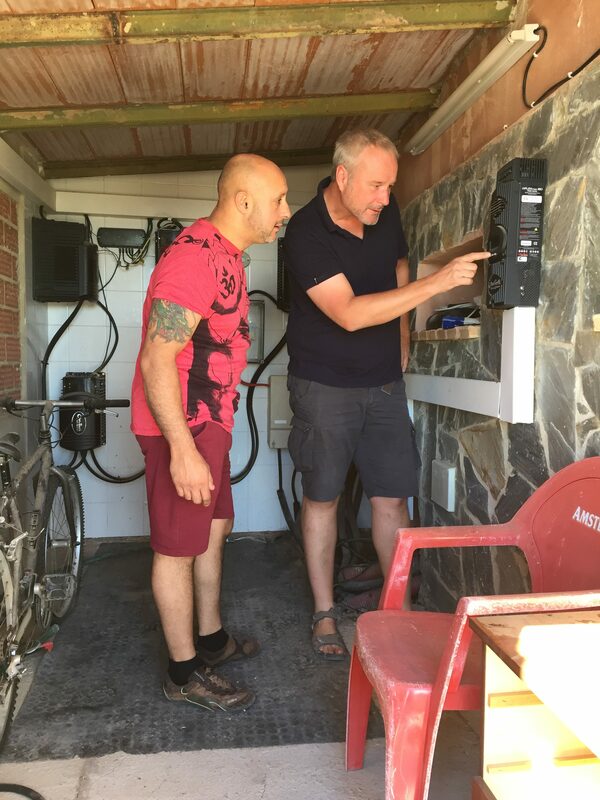 The bulk of our off grid battery sales are to qualified and highly experienced solar installers, based in the UK and Spain, it has become apparent that these installers not only have the opinion that the “forklift” cell performs equally as well as the so-called ‘premium’ off grid batteries but many agree that the forklift cell actually performs better and for longer! After all a battery cell that is designed to be discharged to 80% dod, blasted every evening with a high amp charge then rattle and bang about in a forklift has to be built to last. 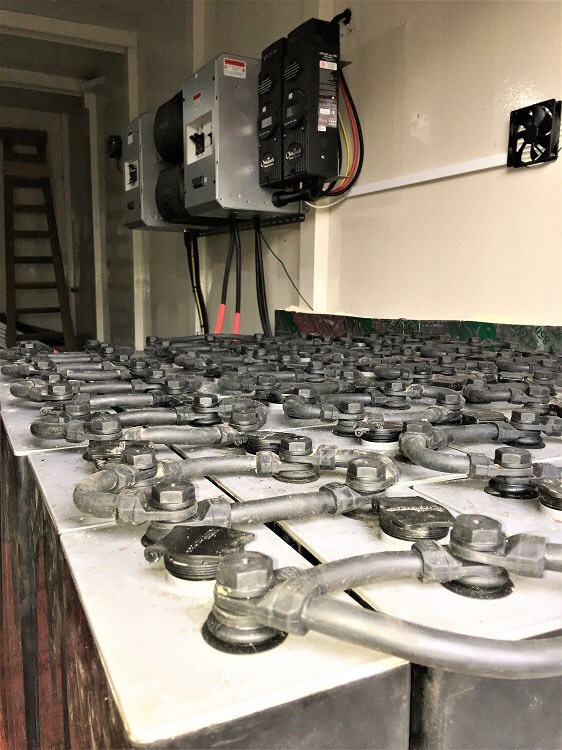 Both new and used “forklift” style battery cells have been used with great success in these applications for many years as a less expensive storage solution when compared to the bespoke OPZS style 2v cell. 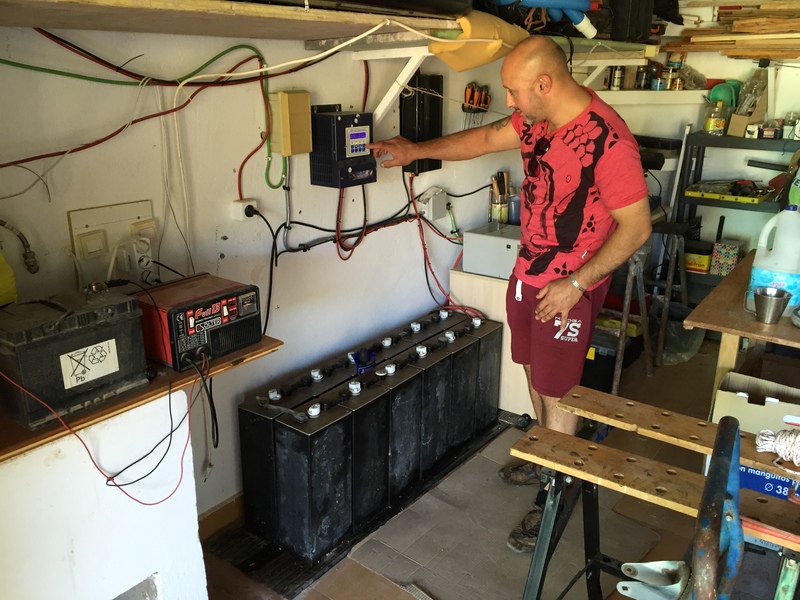 Seven years of supplying batteries to the off grid community has been a massive learning curve, reading and researching this subject on-line is of little use as there is so much conflicting, confusing and incorrect information. Regularly speaking, befriending and visiting those who actually live off grid is the only true way to get a genuine understanding of what is required. Don’t take a chance of buying a poor/scrap battery off the internet from someone who has no real idea of your requirements. Give us a call and benefit from a wealth of experience from a company with a cast iron reputation.